The Sims series is always been a significant simulation and PC game. The Sims 4 is the fourth part of Sims Series. This game was developed by The Sims Studios, Maxis and published by world sports game developing company Electronic Arts. This game was launched in September 2, 2014 for windows operating system. Mac version of Sims 4 was available for the first time on February 17, 2015. The Sims 4 game was a huge hit and tops the charts in all formats. Till October 2016, this game has sold over 5 million copies for available platforms. Sims 4 game received some mixed reviews from the critics. Some critics criticized this game for the lack of content. Console compatible version of this game was launched in November 17, 2017 for the Xbox One and PlayStation 4. The mobile compatible version on Sims Series was announced on May 9, 2017 but EA released this game March 6, 2018 for Android and iOS devices. Anyone can download best sims 4 mods for playing sims 4 online in android and iOS devices. This game has the same concept which we have seen in The Sims 3. The Sims 4 is all about various activities and relationship formed by the players in the game. Actually the game does not have any significant final goals. Build Mode and Create A Sim tools have been redesigned in the fourth chapter. Till date Electronic Arts has launched five expansion packs of this game. 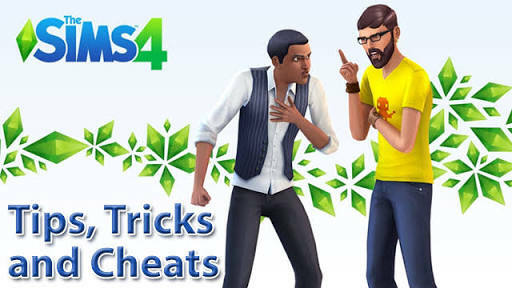 Various Sims 4 tips and tricks will help you to play this enormous game. EA has launched many game packs including ‘Parenthood’ which allows players to shape the characters as well as some minor and major changes updated in this game. 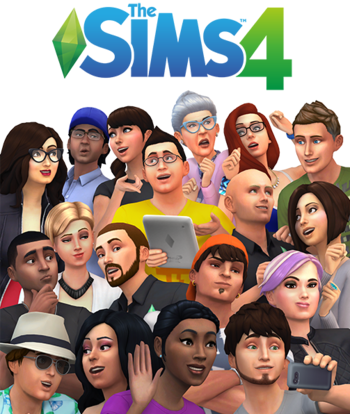 The Sims 4 is a life simulation game available on many platforms. This game is very similar to its predecessor. The Sims Series has always been a time taking game. It is not such a difficult game but players had to invest some time in this game. This game is based on activities and relationships formed by the players. Players can create a character and explore different personalities. Sims can do multitask at a time such as can talk while performing different tasks. Players can create challenges in this game. Create A Sim (CAS) feature is the major change in the fourth chapter. The sliders which have seen in the predecessor have been now replaced with a mouse click, drag and pull which makes it very handy. Now players can reach directly to the facial features of a Sim. By this players can manipulate any body part of a Sim including chest, arms, feet, abdomen etc. In predecessor fitness and fatness can only be manipulated by sliders. This game comes with over 40 different hairstyles for both men as well as women. There are more than 18 color shade options available in this game. Many life stages including baby to toddler, child to teenager, young to adult etc are in this game. In chapter four combine build and buy option is there. Now players can use these features together in this game. You have to progress further to unlock various items. You can buy various rooms, houses, building in this game with buy option which will cost you some money. In this game you can import houses, sims from other peoples. This feature is really handy and useful for the players. This really impacts the world around the players sim. Players may publish their creation into the gallery option so that other people can download these into the gallery. The Sims 4 has two worlds: Willow Creek and Oasis Springs. With the launch of Outdoor Retreat, the granite falls was available for visiting. The City Living expansion pack was launched in 2016 in which bustling city of San Myshuno was introduced. The functioning of Sims 4 is way faster than its predecessor. Graphics of Sims 4 is way better and looks realistic. This game provides free monthly update support from the developer. It has searchable buy catalog option present in the game. Semi open neighborhood offers better and fast performance. The sims 4 lack of basic feature which was available in the predecessor. The closed world makes players to lose their progress when another sim is visiting different part of the world. You should pick helpful traits – there are host of different traits available for you, friends, family. Active – Your sim will get energized and can even pump other sims too. It can help you to build your fitness really fast. Ambitious- If you are not going to use instant money cheats then you have to earn it by doing job. By doing Jobs and promotions you can earn some good money. Romantic- Mood play a very important role in this game. Just make your Sim romantic. It will boost up the mood of your Sim. Claim Reward Lamps – If you have played The Sims 3 then you must be familiar with the reward lamps. It rewards players in the game. Each reward will affect your Sim personality and emotions. Take advantage of your Sim’s mood- Emotions of your Sim plays a very important role. Emotions like sad, happy, angry etc. Performing different actions in the game can change your Sims Mood (don’t push the limits of your Sim). Example- If you are pushing hard in gym then Sim will not feel comfortable next day. Gallery – Now with this fourth chapter you can import rooms, or sims to your game progress. It is a new feature in this game. Tap the gallery option on the right corner to imports rooms and even Sims to your game. Casual Needs – You have to complete the specific needs of your Sim. In this way you can change the mood of your sim by solving their issues which they are facing. Your Sim wants to go to bathroom, eat sandwich or get into the bed , then you have to fulfill their cravings to change their mood. Hotkeys – These are some of the hotkeys of this game you should while playing. Book of life cheat – This is the best thing you can do in this game. If you were able to complete Author Aspiration so you’ll be given the reward trait. You can bind this book and whenever they read it, it will restore all their needs. Unfortunately, a sim can’t bind them for this one. You’ll nees someone to help you out and complete the Author Aspiration. But fortunately you can give this book to any other Sim after someone has bind it for you. It will also fulfil their needs if they read it. Discover the secret lots- You can find many secret lots in this game. Click on view option which is showing on the tree. From there can go through the tree adventure. It offers mushrooms, cherry, strawberry etc. Check your Sims whim- You can spot three whims floating around your Sim’s head as in the form of bubbles. The bubble in the left hand shows mod of your Sim. The other two bubbles come up with more requirements. You have to make sure to check them regularly. After that you will earn some satisfaction points by which you can improve your Sim. Cw Plant Seed- You can grow a cow plant seed in the chapter fourth. There are many variety of locations from which you can find those hidden seeds. Maxis hidden these cow plant seeds in the game but you can find these in desert bloom in Spring. This cheat will Give you a selected career. Freelancestate on/off is an innovative cheat for you to buy products. Buy house using this cheat. 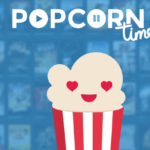 Household autoplay bills true/false is a quick short key or cheat. 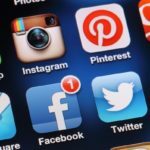 It is applied to enable or disable household bills. You can spawn any Sim then it will be added to your household. You can edit and modify your Sim with this cheat. Fps on/off is the top-notch cheat which is handy to a gamer to exhibit gaming frame per second. It is much user-friendly to a rookie to reset graphic setting for the game optimization. Hoever effects on/off is a dynamic cheat to professional gamers. it works fast to deactivate the hovering effect on SIM. bb.moveobjects is a hidden cheat for million gamers. It basically permits a virtual gamer to relcoate any objects on the virtual portal. The objects are dragged and moved from one side to another quickly. Gamers should press 9 or 0 key to manage the object moving process. bb.showhiddenobjects is the worldclass cheat for customers to reset the debugging issue. It is the best ebedded cheat for gamer to make purchases. Hidden artifacts are bought easily with bb.showhiddenobjects cheat. It will help you to build on locked items like hospitals, medical labs etc. Fillmotive x is the right cheat for upgrading moodlets of SIM. With this cheat, try to change or reset or refill motives on SIM. Shift-Clicking on Objects cheat is available for objects detoxification. It is one of the best cheats for all gamers for resetting and upgrading different gaming objects. Do Shift clicking to activate teleport sim cheat. It is helpful to you to do SIM teleporting to the proper destination. 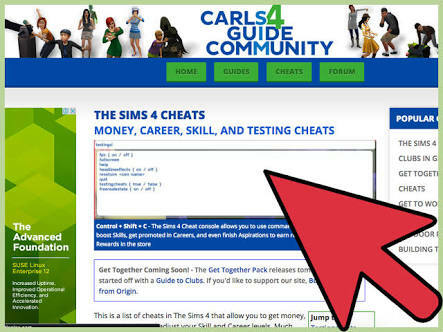 This cheat will help you to edit your Sim completely. New relationship and multiple birth control cheat is suitable to you to have more babies using this cheat mode. Your SIM game will be pregnant to speed up the birth of triplets, and quadruplet babies. In this connection, abide by the pregnancy rules. It is a standard pregnancy and multiple birth cheat. Money X is the eye-catching cheat code. Get back money without hassle to reset family. You should type on the appropriate box mentioning amount to earn. For example, money 60000 for family spoon feeding needs to be typed on the gaming keypad. You will have the specific amount. This above cheat will help you to complete your aspiration’s goals and give you the satisfaction points. You can do this with various aspiration’s. To close dialog box or turn off cheat you have to enter ctrl-shift-c.
Note-This cheat will not work after turning off. The Sims 4 is really a great game to play but it is a time taking game. Unfortunately Sims 4 is missing some of the great features which we have seen in the Predecessor. The build tools can be frustrating for those who used to build their homes without pull/push wall. Graphics are way better than The Sims 3. Lot of new feature are also added in this game. If you can give time to time this game then we will recommend you to play this game. 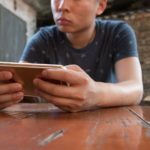 What are the Most Popular Mobile Gaming Genres in 2018?